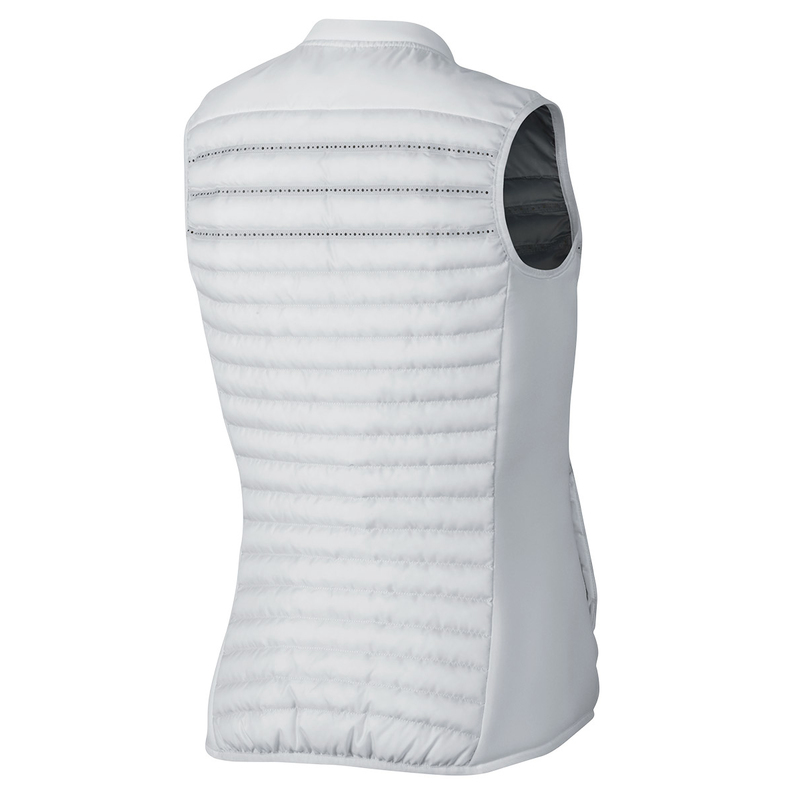 This full zip piece of layering has been designed to keep your body regulated on the golf course. 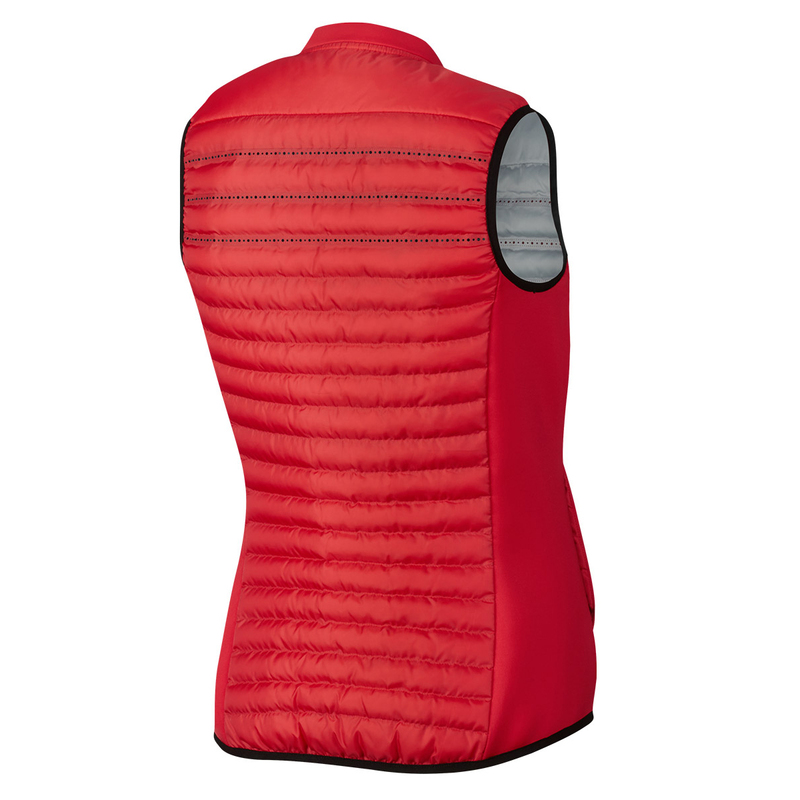 The Aeroloft Combo Vest has been constructed with Aeroloft insulation which is a poly filled baffle with laser perforations to keep you body regulated at the right temperature. 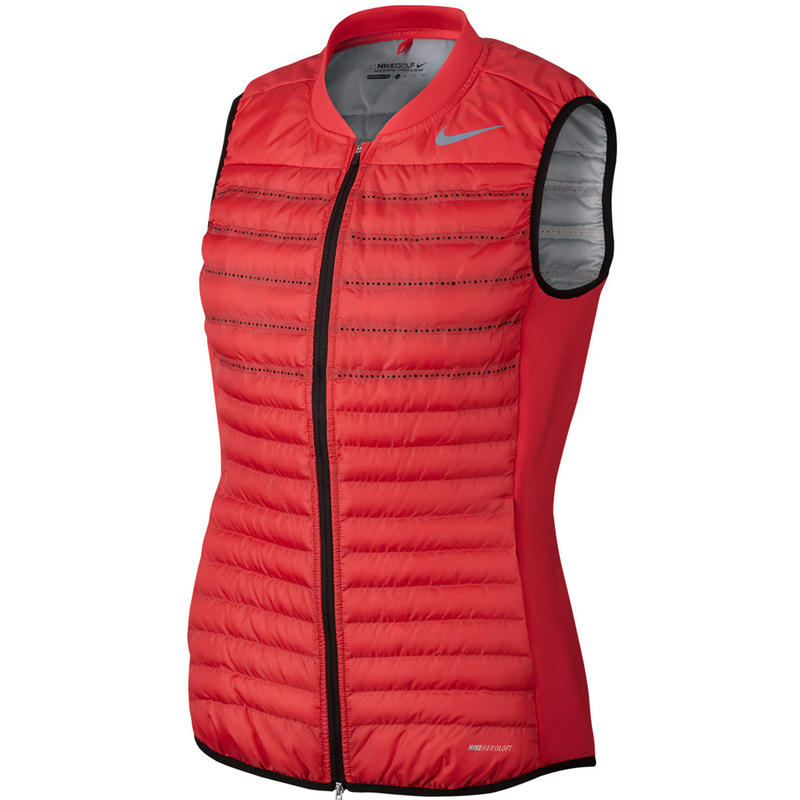 The vest is water repellent and has warm to the touch knit side panels with zip pockets for extra storage space during play. 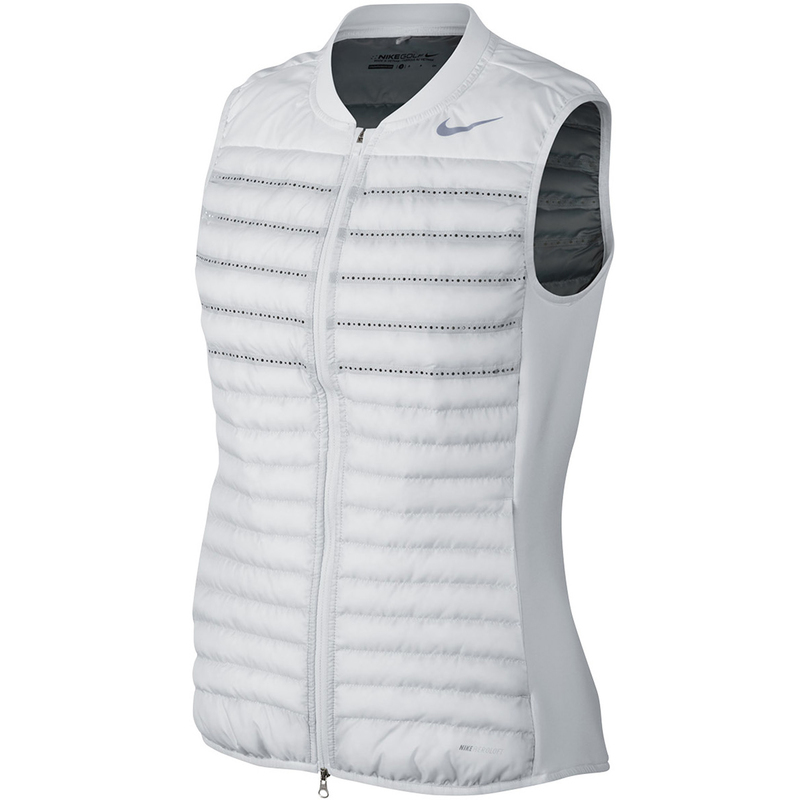 Finer details include the Nike swoosh on the left chest.